American International School (AIS), one of Accra's newest international schools, has its roots in an organization whose history in international education is a quarter of a century in the making. AIS strives to provide a quality education which prepares students for the challenges of the 21st century by allowing them to realize their full potential. AIS fosters a family atmosphere inside and outside the classroom setting. Teachers get personally involved in order to help students and teachers develop a strong family bond. The school has many social events for parents, teachers, and children to get to know each other. American International School of Accra is a member of the Network of International Christian Schools (NICS). NICS, headquartered in the United States, operates schools around the world. 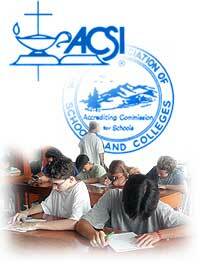 AIS will be seeking dual accrediation. AIS students and teachers represent many different nationalities. Even though school enrollment continues to grow, it still offers small classes and individual attention to students in classrooms with low teacher to student ratios.